Let us help you make your special day a little more special. At The Lodge at Wolf Ridge, you will find our quiet location, serene beauty and exception facilities are an ideal location for wedding events. You, your family and friends will never forget this special mountain retreat. 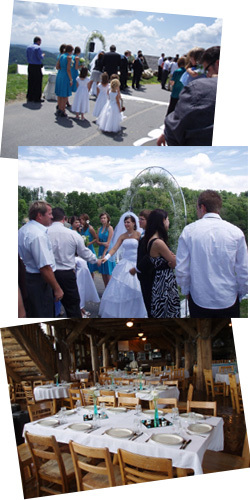 Plan your wedding reception or rehearsal dinner at The Lodge at Wolf Ridge. Ask about our Special 1st Night Complimentary accommodations.